On Friday, March 4, 2016, the women of Socialist Cuba invite us to join with them in the World Day of Prayer celebration, praying under the theme, “Receive Children. Receive Me”. Each year the World Day of Prayer service brings with it a feeling of curiosity. What will we learn about the theme and the focus country? What will challenge, inspire and encourage us? 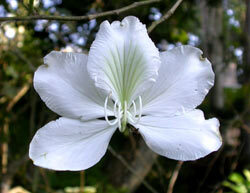 National Flower of Cuba is the white butterfly jasmine. Cuban women have used the flower not only as an adornment for their hair, but also to transmit messages during liberation wars, and as a sign of their being Cuban. There can be no better emblem for the 2016 World Day of Prayer service written by the World Day of Prayer committee of Cuba. Their service transmits their witness and experience of being Cuban and Christian even when their faith meant isolation within the country they love. With the triumph of the Revolution, a trade embargo by the United States brought Cuba economic isolation and material scarcity. Within Cuba a similar isolation formed around people of faith in the officially atheist state. Now the embargo is lifting, but uncertainty remains for the Cuban people. What can these women tell the rest of the world about how faith endures in a secular world, of material and social challenges, and of hope? On March 4, 2016, Christians in more than 170 countries and in 2,000 communities across Canada will gather to learn about, pray for, and celebrate Cuba in solidarity with the women of Cuba through the World Day of Prayer. Please join us and invite your friends and family to attend the World Day of Prayer 2016. For more information, please contact St. Catherine’s Anglican Church at 604-941-9812.